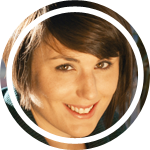 Sara Wachter-Boettcher has contributed 2 articles to Contents . In countless organizations, there’s precious little talk about these shifts in form—much less the shifts in practice they’ll require. Which means we’re in danger of leaving too many people behind as we, the already converted, whirl away into the future. Curiosity is tricky. It’s the first thing that pushes us forward, but it’s also one of the first to hold us back: to keep us from shipping good ideas because we’re too busy lusting after unachievable ones.